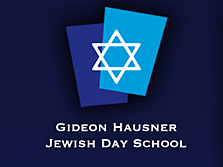 Gideon Hausner Jewish Day School, founded in 1989, is an independent community day school providing an outstanding education for close to 400 students in grades K-8 in Palo Alto, California in the heart of Silicon Valley. Laura and Gary’s two children are alumni of the school. The extended Lauder family has contributed nearly $5.2 million in gifts to the school. In 2010, Hausner launched the L’Dor VaDor (generation to generation) Campaign to expand and strengthen the school by constructing a new building and playing field, modifying existing facilities, and increasing its endowment fund. In May 2014, Laura proposed a “capstone challenge” to the school. If Hauser raised $14.8 million by April 2015, she would donate an additional $1 million to the school’s endowment fund. Laura has served in numerous leadership roles at Hausner and in the larger Jewish education community both regionally and nationally. She is past chair of the Hausner’s Endowment Fund Committee, past chair of the San Francisco Regional Day School Scholarship Fund Committee, past chair of the Diller Jewish Teaching Award Committee, and served on the board of directors of Jewish Education Service of North America.